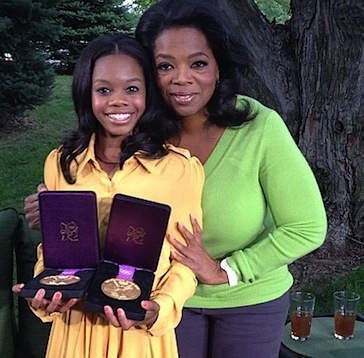 16-year-old Gabby Douglas may be a double gold medalist in gymnastics, but we all know the road leading to her explosive performances at the London Olympics couldn’t have been easy. Her mother, Natalie Hawkins, filed for bankruptcy earlier this year, a few years after Gabby had moved away from her friends and family in Virginia to train in Iowa alongside Shawn Johnson. Turns out, her reasons for moving might have been partially related to the toxic environment at her former gym. “One of my teammates was like, ‘Can you scrape the bar?’ And they were like, ‘Why doesn’t Gabby do it, she’s our slave? 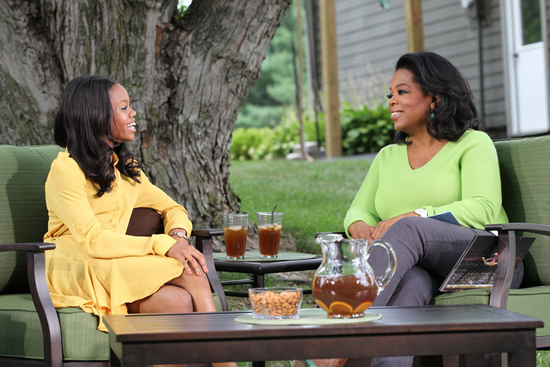 '” Douglas told Oprah in a new interview on OWN’s Next Chapter. Two people from Gabby’s old gym, Excalibur Gymnastics School & Training, are avidly denying the accusations. I’ll allow you to make up your own mind about these statements, but keep in mind that the words are coming from caucasian gymnasts who didn’t make the 2012 Olympic team. I had a terrible time in high school, but a lot of people who went to the exact same school had a wonderful experience, mostly because they were the ones giving me a hard time. Gabby was bullied by fellow African-Americans about her hair. I hardly doubt her when she says she was bullied by jealous white Southerners.